Julie is a graduate of the University of Ottawa’s Masters degree in Health Sciences specializing in Audiology and Bachelors of Science with a specialization in Biomedical Sciences and minor in Psychology. After completing her final student practicum in Audiology at Davidson’s, she began working for us as an Audiologist in September 2013. Julie welcomes tinnitus and hyperacusis patients, she completed the Jastreboff Tinnitus Retraining Therapy for the Management of Tinnitus and Hyperacusis course in Maryland, USA in 2017. 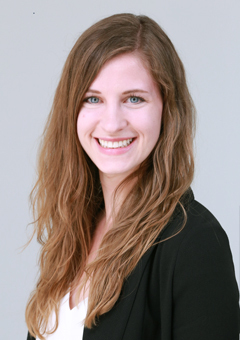 She is also fluent in both French and English and can offer bilingual audiological services at our Ottawa office.